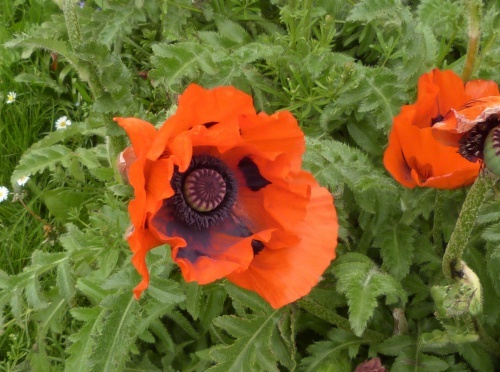 Oriental Poppy is a perennial poppy with large flowers, usually red, pink or orange but sometimes white, mauve or plum-coloured, with bristly leaves. 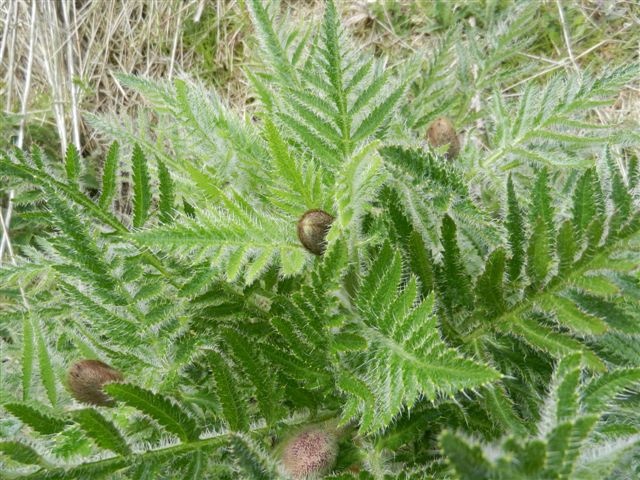 It has been a popular garden plant since it was introduced to western Europe. Height: 50 to110 cm. Stem leafy to the top, upper part smoothly haired. Flowers have 4 to 6 petals and measure 8 to 12 cm. 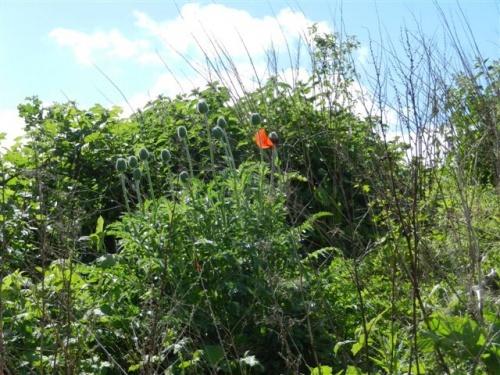 This is one of many cultivated plants that escapes into the wild and persists, at least for a time. These cultivated plants may have many different varieties or cultivars, and hybridisation is common so our images of garden escapes can only be said to be representative of the species. 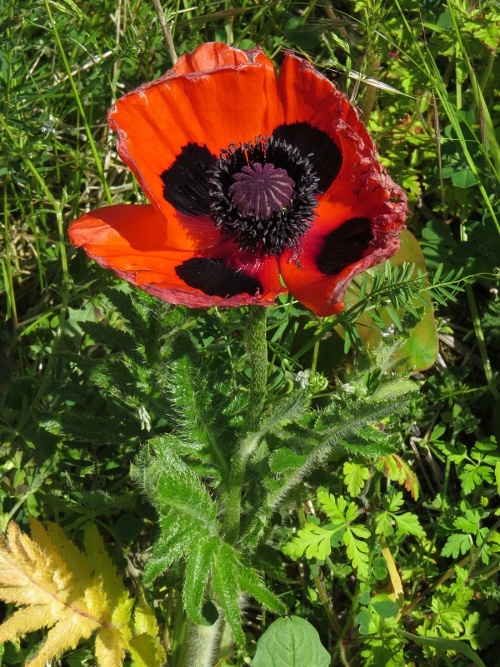 The oriental poppy of gardens may include three similar species plus intermediates: P orientale, P bracteatum, and P setiferum (formerly P pseudoorientale). Usually with blotched petals. Much larger than the corn poppy or long-headed poppy. Some large flowered garden escapes without blotches are probably P bracteatum or orientale. Usually found as a casual garden escape on open or disturbed ground close to habitation. 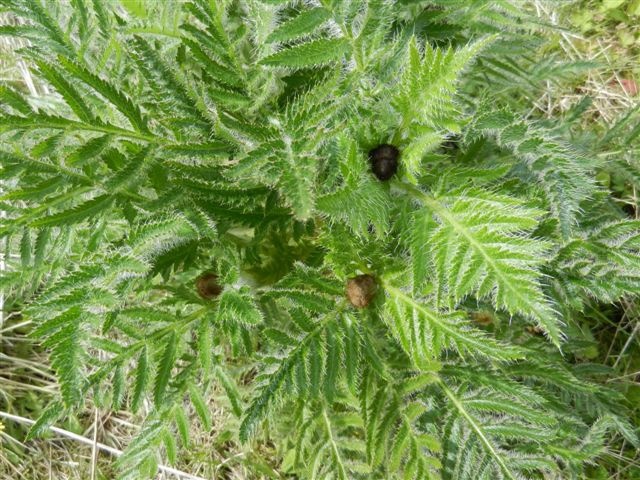 Infrequent but widespread as an escape from cultivation in England. Infrequent as an escape from cultivation in Leicestershire and Rutland. It was not recorded in the 1979 Flora survey of Leicestershire and is not listed in the current Checklist (Jeeves, 2011).